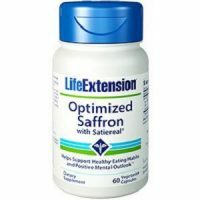 Read today’s review of Optimized Saffron with Satiereal. The product is made up of extract saffron and is a supplement that will help you to develop healthy eating habits and to have a positive mental outlook. It is made to enhance your mood and relieve your stress. It consists of safranal and crocin. 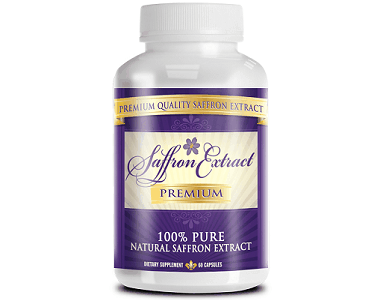 The main ingredient contained in the product is the company’s patented Satiereal saffron extract. The formula contained in the product will help to prevent having snacks in between meals as well as avoiding snacking before bedtime. The other ingredients found in the product are microcrystalline cellulose, vegetable cellulose silica and acacia gum. How Do You Use Optimized Saffron? Before you begin the consumption of the product, please visit your health professional to determine use. Unless otherwise stipulated by your health expert, the recommended dosage is to take one capsule in the morning and one at night. The doses should be consumed with food. The manufacturer has warned that this product should be used in conjunction with a healthy diet and regular exercise, which means if you are not exercising or eating properly, the product will most probably not work for you. The recommended dosage should not be exceeded. The manufacturer has offered a 25% discount on the product from its site. Instead of paying $36 as the retailers will charge, you pay $27 for the 60 capsules container. We checked the manufacturer’s site rigorously and there was nothing about guarantee offered with the product. This makes us question the belief that the manufacturer has in the product. If you have complete confidence in the product’s ability to provide consistent results to customers, why would you withhold a guarantee? Nobody likes to spend his or her hard earned money only to be disappointed by a product and not be able to return it for a full money back refund. 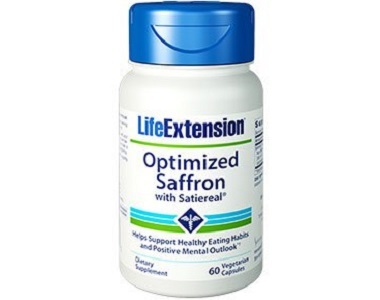 Optimized Saffron with Satiereal was made as a supplement that will help you to develop healthy eating habits and to have a positive outlook on life. It should also enhance your mood and relieve your stress. The consumption of the product occurs twice a day, and the manufacturer has warned that the product should be used in conjunction with a healthy diet and regular exercise, meaning, if you are not eating healthy foods and exercising on a regular basis, the chances are great that the product will simply not work for you. Another aspect that we found to be troublesome is that there is no guarantee offered with the product. Since the manufacturer is so certain that the product will deliver the advertised results, it only makes sense that a guarantee is attached to the purchase of the product. Afterall, what does the manufacturer stand to lose? The necessity of regular exercise along with the absence of guarantee are two factors we feel are to the detriment of the product.